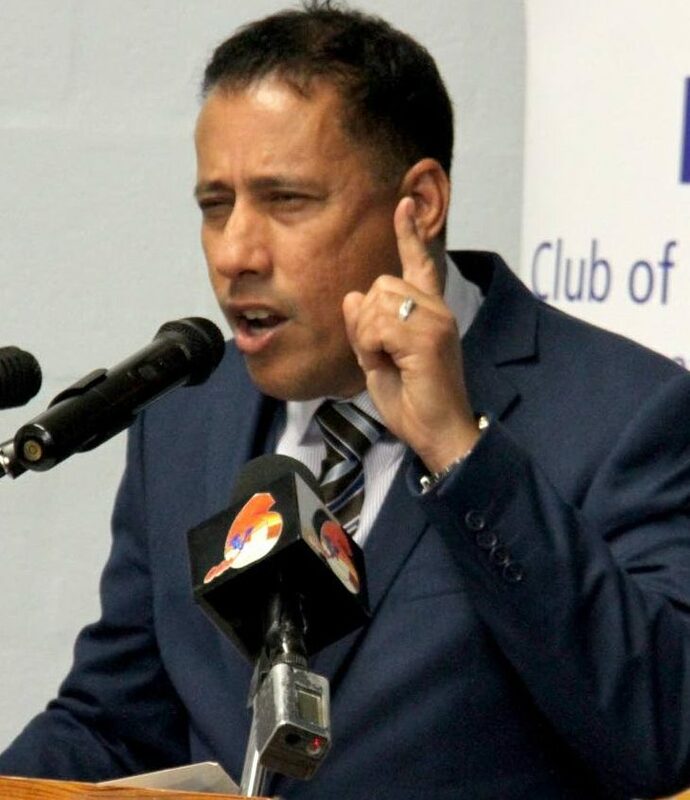 That is the tough stance taken by Commissioner of Police Gary Griffith as far as protests infringing on the democratic rights of others are concerned. He was speaking in an interview on i95FM. Responding to criticisms from some arms of the public about the aggression displayed by police officers in the protest at the University of the West Indies (UWI) St Augustine campus yesterday, and the subsequent arrest of two students, Griffith said if anyone has to take the blame, he would. Griffith was expected to meet with the campus principal Brian Copeland this morning. He said it is unfortunate the UWI students had to take the first punch, but he has drawn the lines in the sand. He said it does not matter the place, cause, ethnicity of the individuals or whether they have a red or yellow party card, there will be no discretion if the law is broken. “You cannot justify if you have a security concern in your university you are going to break the laws of the security of a nation. UWI students thinking this has been happening for years so they could easily do it too. Sorry, Gary Griffith has taken over, and it is not going to happen under my watch." He said as commissioner he will fully support and provide security for them to engage in protest action, as is their right, but it must be done within the law. He said for too long there has been acceptance for the practice of people blocking roads with rubble and setting a fire for everything from wanting roads fixed or getting lights in a community. On Wednesday a UWI student was attacked on the compound. A town hall meeting to discuss security concerns escalated in the students forming a human barricade at the entrance of the south gate for approximately two hours. Police were called in, resulting in a stand-off with students and subsequent arrest of two executive members of the Student Guild. Reply to "Griffith on Police: ‘Be Rottweilers of aggression not pothounds of nothing’"